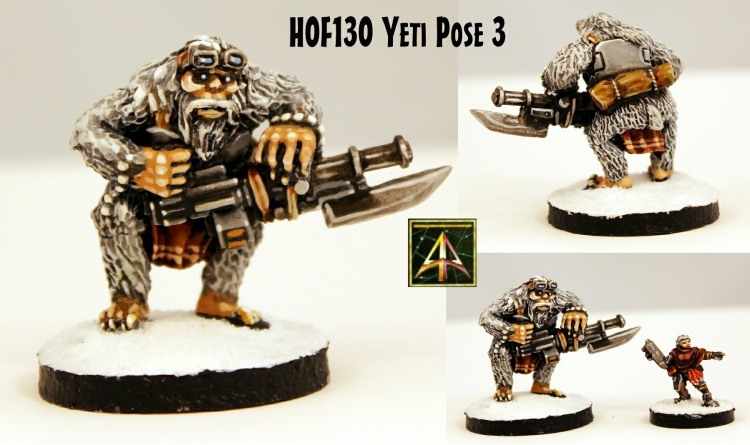 Alternative Armies: HOF130 Uplifted Yeti Platoon 15mm pack and singles released! 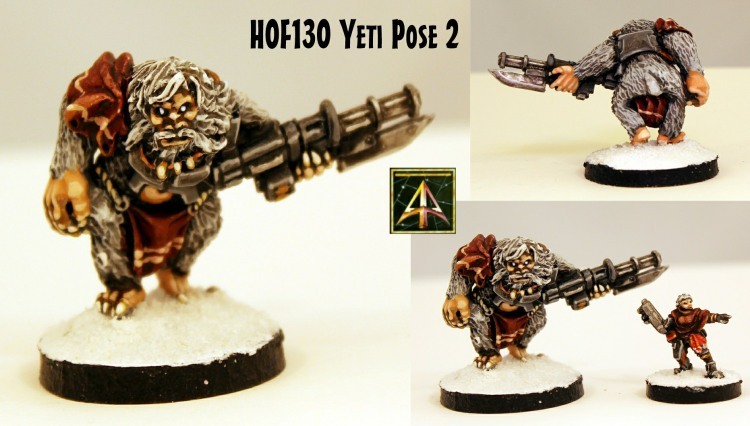 HOF130 Uplifted Yeti Platoon 15mm pack and singles released! A new code added to the HOF 15mm Science Fiction range for January 2019. Gene Modded and created to be the big muscle of the near future for Security Force Alpha we present the Uplifted Yeti Platoon with its female Human handler with four poses in the pack. 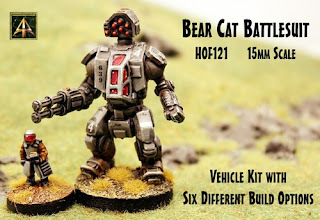 These follow up on the BearCat Battlesuit kit with its build options as well as the SFA Personalities and Dogs plus Tracker Wheeled Bikes and Portable Weapon Platforms with Gun Crew from previous releases and are great for any game system and fit right in with the rest of the array of the SFA. Go HERE or read on for more. 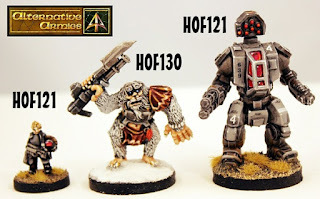 Alternative Armies has embarked upon expanding the Security Force Alpha (SFA) array of codes within the HOF 15mm Science Fiction Range in conjunction with prolific wargamer Fred Richards who has a vision of space colony warfare in the near future which we find captivating and wanted to get in on. From the mind of Mr Richards and the guys at Alternative Armies comes the sixth release in this thread the big brutes with a Native American feel as a part of Fred's vision for the future. 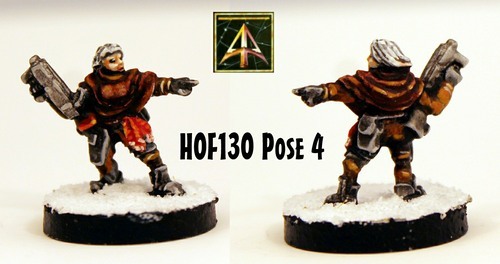 This pack contains four 15mm scale white metal miniatures in different poses. 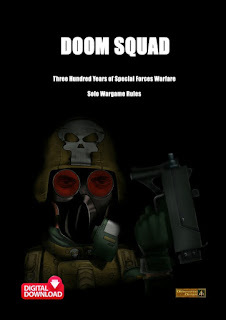 Three hulking genetically modified and bred creatures uplifted to sentience for use as super heavy infantry by Security Force Alpha on Earth and inter-sol too. Given a purpose and a history of the deep northern cold. Each carries a large calibre rotary chain gun with bayonet and is dressed in fixing plates and loin cloths as well as feather adornments as Yeti are organised into 'family' troops. Pose one has its weapon raised, pose two is advancing with weapon to the side and pose three is readying his weapon. Pose Four the female handler is dressed in minimal SFA armour and carrying an assault rifle wearing feathers and gear to mark her as part of the Yeti troop. 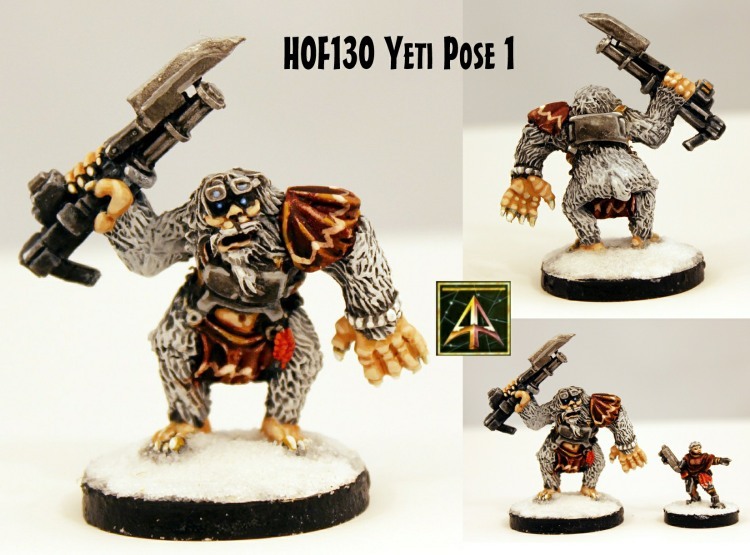 Each Yeti is approx 30mm tall. Choose from a pack or single poses from the code. Supplied unassembled and unpainted without bases. 12.00GBP Go HERE. 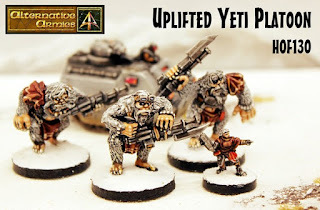 Above are some more images of the Uplifted Yetis including scale pictures alongside an SFA Trooper (16mm tall) and an SFA BearCat Battlesuit (45mm tall). These creatures add a great part to your army in many settings and campaigns. If you are interested in fielding a force of these Human Soldiers then you are in for a treat as there is a very wide array of choice for you. Here is a list of all of the current Security Force Alpha packs. 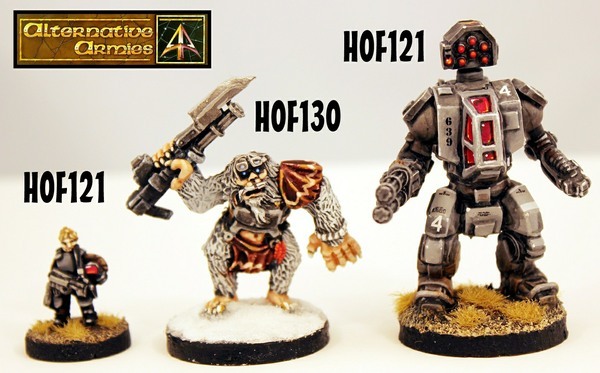 See you out there among the Colonies of Mankind in the HOF 15mm Science Fiction Range! If you like this miniature awesome then you might want to check out our other 15mm sci-fi ranges. A huge choice of new and classic as well as all manner of characters, infantry, vehicles, robots and more. We also have a wicked cool 6mm range from Bradley Miniatures. Click on the links to visit these ranges to see more.